For over a decade, the Pottstown Early Action for Kindergarten Readiness (PEAK) program has been working with children and families to provide high quality early childhood education. In 2014, they sought to understand and respond to some of the underlying conditions which brought about disruptive classroom behaviors. As PEAK Managing Partners and leadership at the Pottstown School District learned more about Adverse Childhood Experiences (ACE) study and the overall impact of trauma and toxic stress, they took action to encourage a community response. Scattergood Foundation staff, in collaboration with The Consultation Center at Yale University, have been working with the network of community stakeholder organizations since 2015. 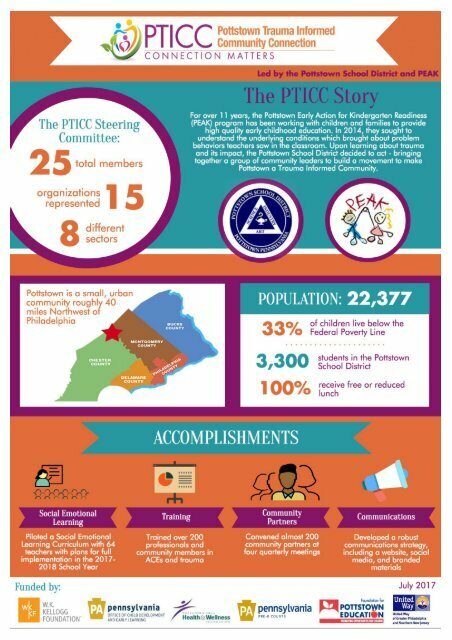 During this time, the Pottstown Trauma Informed Community Connection (PTICC) has developed a Logic Model for their work, held trauma trainings for more than 200 community members, built a website and communications strategy, implemented a Social Emotional Learning curriculum in grades pre-K through nine, and engaged roughly 100 unique community partner organizations in their Connection Matters Community Partner Meetings. 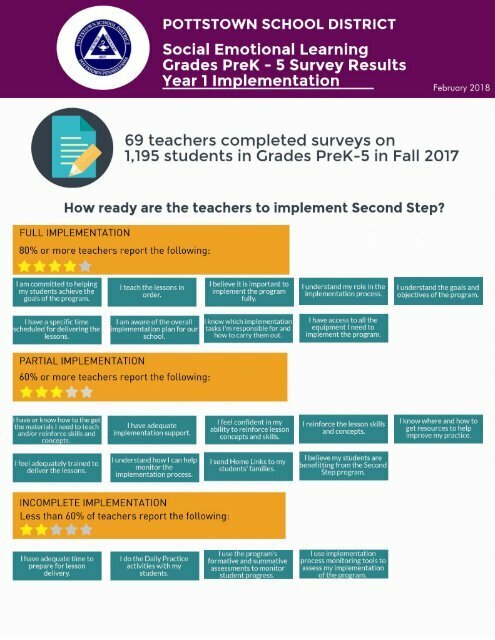 In addition the team has worked with the Pottstown School District to provide training and coaching around Social Emotional Learning (SEL), a curriculum that has been implemented in grades pre-K through 9th grade.